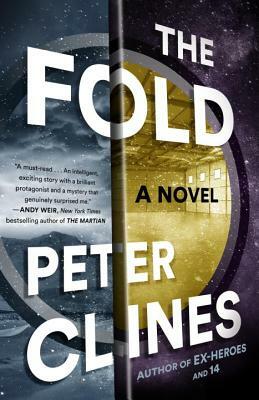 A cunningly inventive mystery featuring a hero worthy of Sherlock Holmes and a terrifying final twist you’ll never see coming, The Fold is that rarest of things: a genuinely page-turning science-fiction thriller. PETER CLINES has published several pieces of short fiction and countless articles on the film and television industries. He is the author of Paradox Bound and the acclaimed Ex-Heroes series. He lives in Southern California. “A must-read for anyone who likes a good science-fiction thriller…an intelligent, exciting story with a brilliant protagonist and a mystery that genuinely surprised me." "That rare thriller that always keeps just one step ahead of the reader...a crackling, electric read." “A little Crichton and a little Sherlock--and sure to please fans of both." "A mind-blowing science fiction mystery that kept me guessing right to the end…Clines’ writing is steeped in popular culture and unexpectedly funny, yet highly perceptive and infused with a subtle intelligence. If you haven’t read him, you’re in for a wonderful surprise." "A smart, intense thriller with just a dash of dark humor, The Fold will keep you turning pages until the wee hours of the morning. Well done, Peter Clines!"